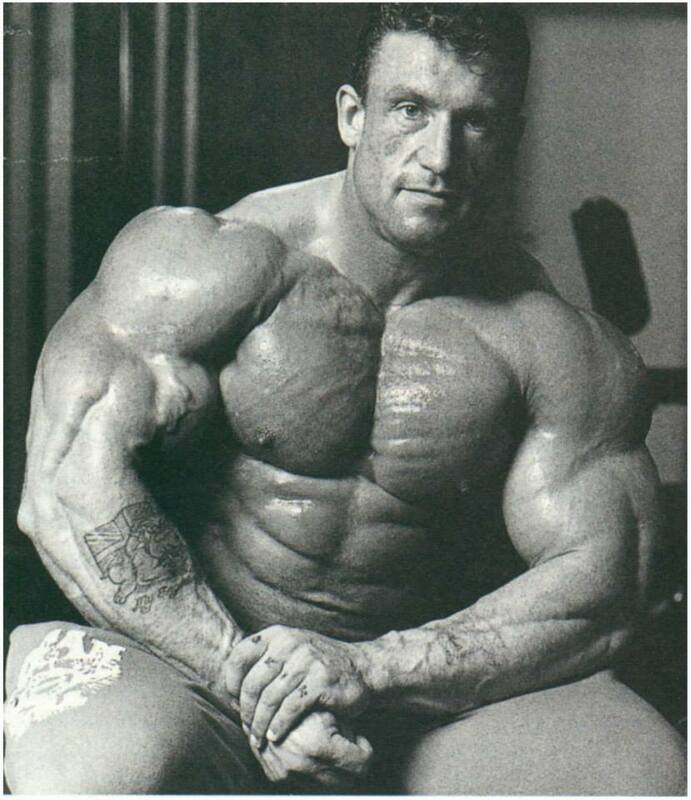 Dorian Yates has won 6 Mr. Olympia’s in a row. 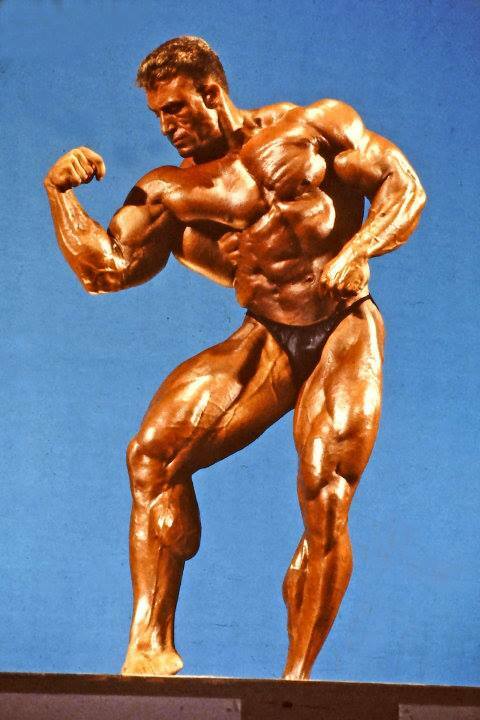 He set new standards in size as the the first Mr. Olympia at 250 lbs to have a body condition with super low body fat and very high muscle density. 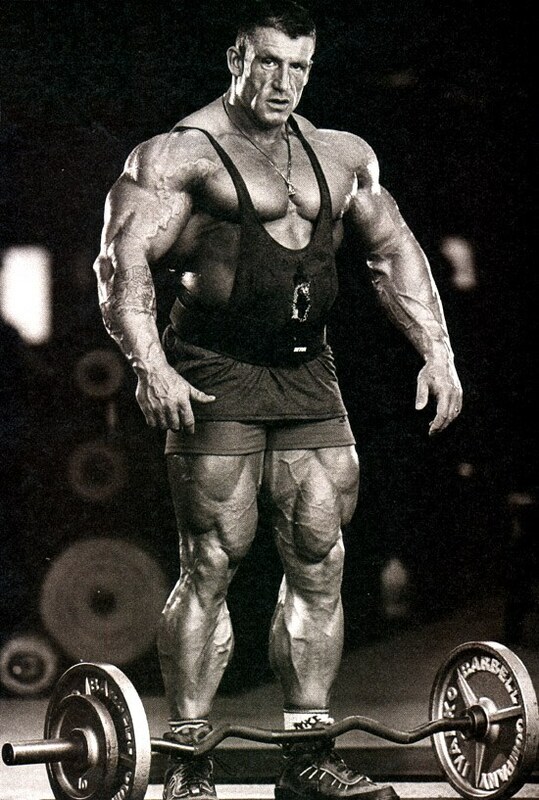 He is the biggest of the professional bodybuilders and when beside him makes all other bodybuilders look small. 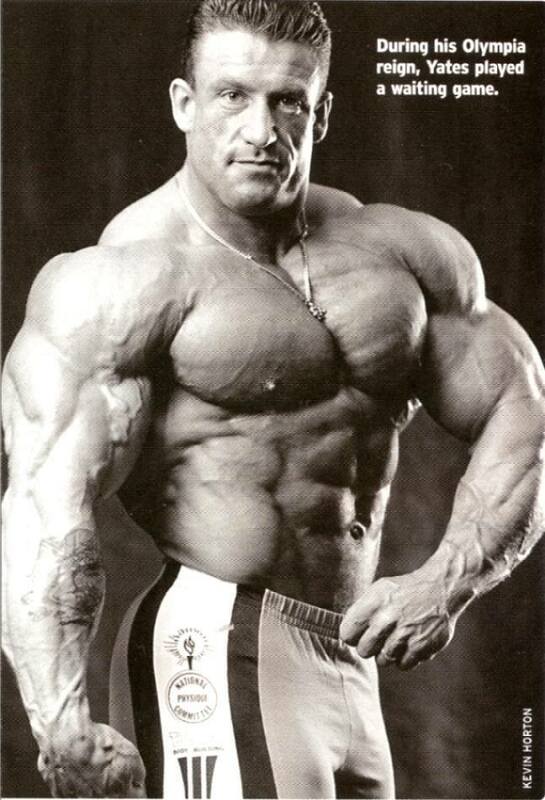 His nickname is the ‘Shadow.’ Dorian Andrew Mientjez Yates was born April 19, 1962, in England. Dorian was raised in Hurley, in rural Staffordshire. When he was a teenager, his family moved to Birmingham, Britain’s second largest city. During these times, Dorian got himself into trouble and was sentenced to six months at Whatton Youth Detention Centre. It was here that Dorian earned an instant reputation as the strongest and fittest of Whatton’s 300 inmates. This gave him new respect for himself. Whatton was the wake-up call for Dorian. If he did not do something, he would end up in and out of prison all of his life. Dorian resolved that he would not be back. Born in Hurley, Staffordshire, near Birmingham, England, Yates started working out in 1983. The man dubbed, The Shadow, (by FLEX Editor-in-Chief Peter McGough) shone a new light of awareness onto training methods with his brief but very high-intensity workouts. After some muscle victories in England, 1985 Novice Championships and 1988 British Championships, Yates visited New York for the 1990 Night of Champions and, in his pro debut, he took second to Mohamed Benaziza. The next year, he returned to win the contest. 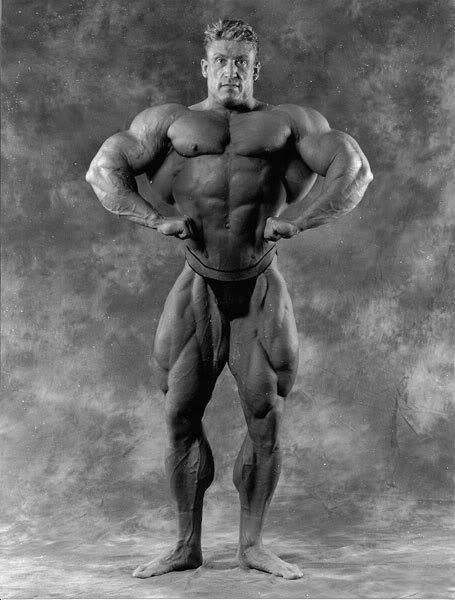 In 1991, Yates was the runner-up at the Olympia to Lee Haney, who duly won his eighth record-setting Sandow and the retired. From 1992 through 1997, Yates dominated the sport’s highest title. 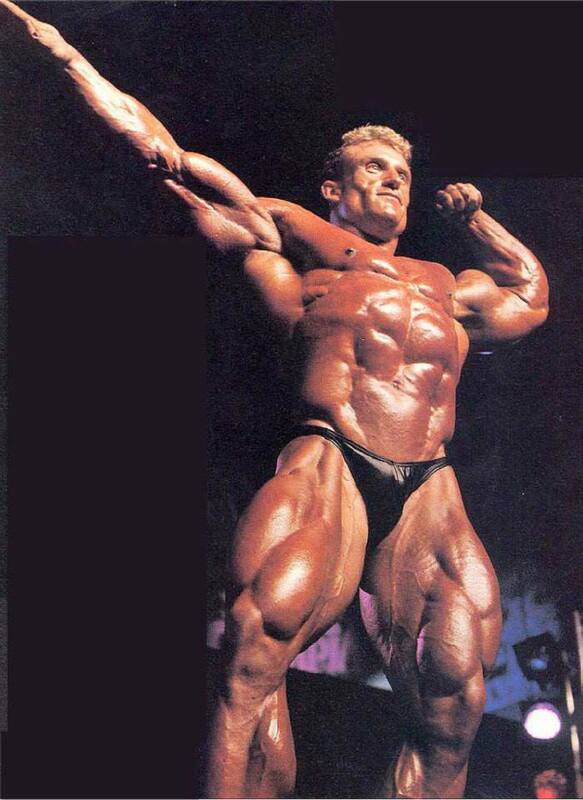 In 1994, he overcame a torn biceps to win the crown. 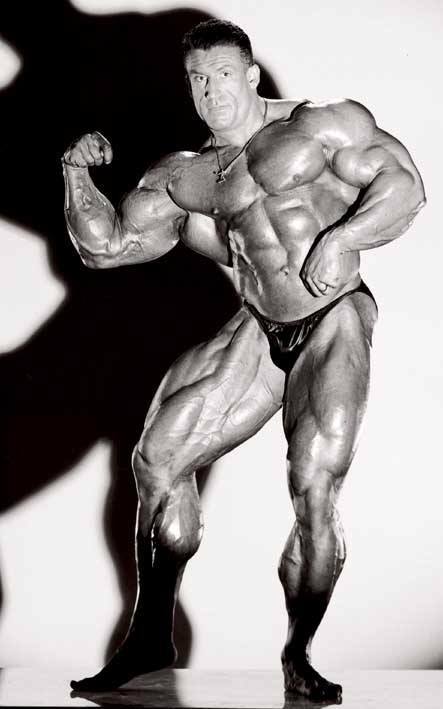 In 1997, his most valiant victory came when he tore a triceps three weeks before the contest, but still battled on to triumph. Due to the injury, Yates was forced to retire, with a pro record of 15 wins and two second-place finishes. 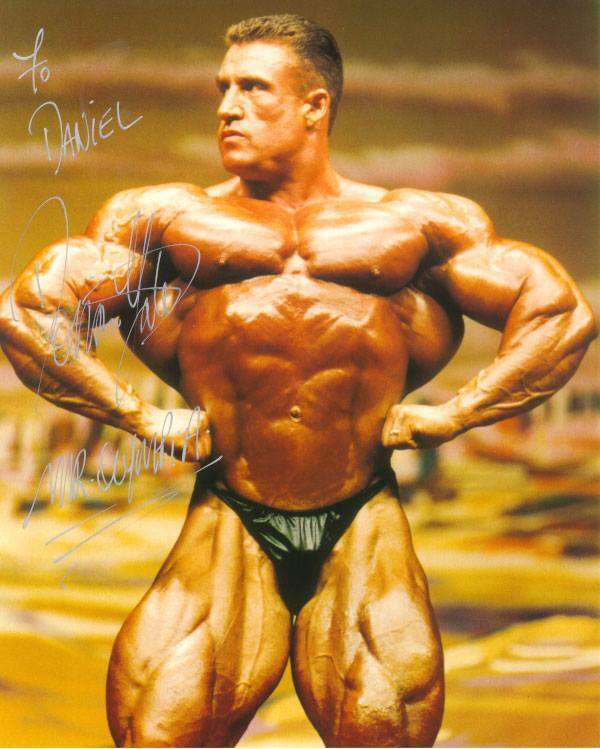 Yates may well be the bodybuilder that most aspiring trainees can best identify with because of his blue-collar roots, dogged determination, and quiet confidence. His book, co-written by Peter McGough, is titled A Warrior’s Story, a perfect appellation for his competitive days for the Brit with no quit. 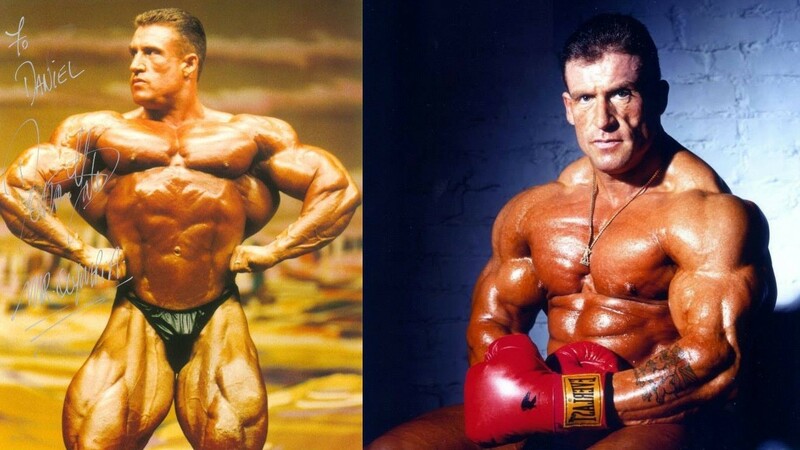 Today, Yates still lives in Birmingham, where he is part owner of the supplement company Dorian Yates Ultimate Formulas, and he is still seen regularly at the main stateside contests. 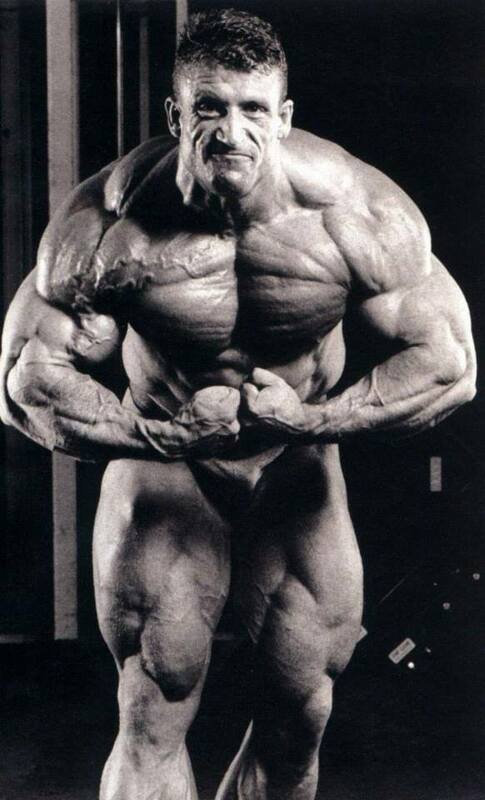 Dorian has two children Lewis and Tahnee and is married to Gal Ferreira IFBB World Champion and WBFF Pro athlete.